From publishing houses to museums to music streaming services, making marketing as personalised as possible has become a priority for organisations across the globe. As we all know, ecommerce brands are no exception; and as machine learning continues to get smarter, so expectations for 1:1 personalisation in email marketing continue to rise. A hero image that automatically changes according to a recipient’s gender? Product recommendations based on the local weather forecast for a customer’s geographical location? A countdown to Valentine’s Day that’s optimized according to open-time? The ecommerce newsletter of the future knows few boundaries, but is it actually attainable? Thanks to dynamic content, the answer is “yes”: it is. Most marketers shy away from personalisation because they simply don't have time or the resources available to make it happen. But there are a few things you can try right now with minimal effort - all thanks to dynamic content. 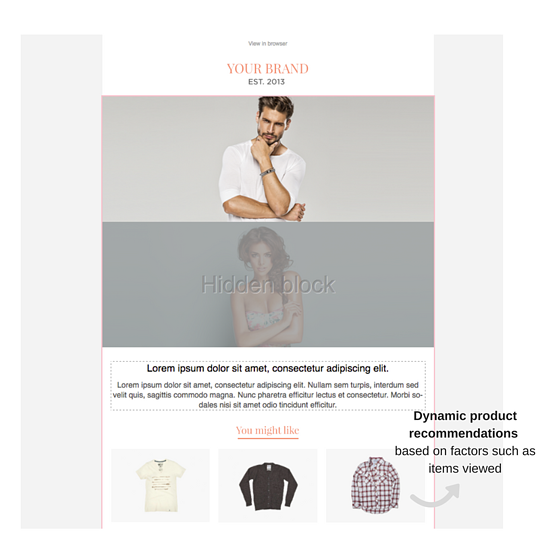 Dynamic content blocks remove the need for marketers to create multiple templates for their different segments (e.g. 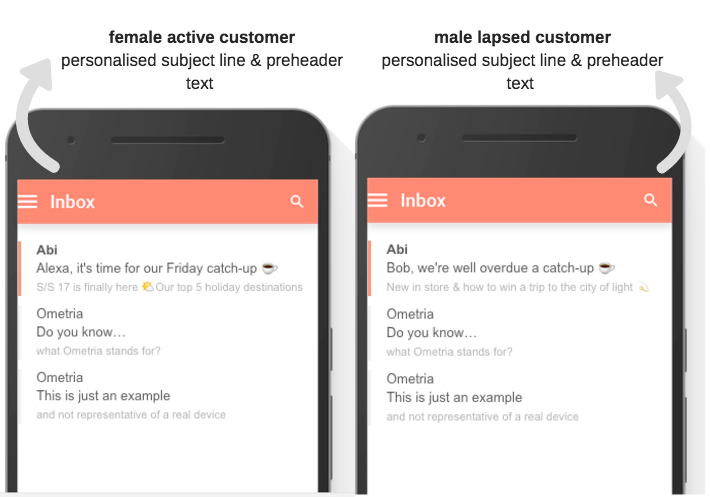 one template for female recipients, one template for female VIP recipients, one template for male VIP recipients… zzzz) and instead deliver highly-personalised content from a single template. Inevitably, there remain certain elements that will need to be created by you or your design team - such as your core assets (brand logo/different hero images per segment…). 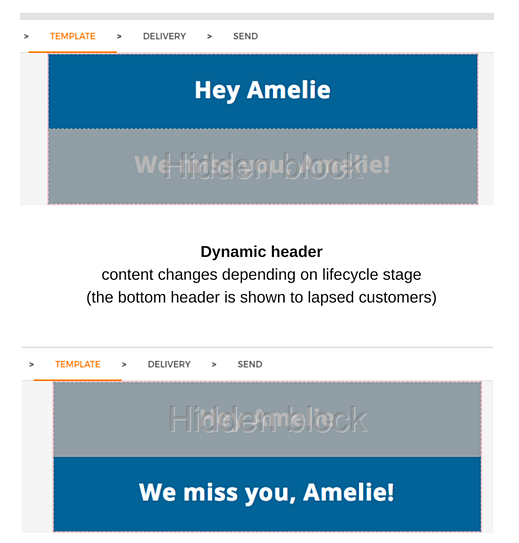 For now though, here are three ways dynamic content can personalise your newsletters without going all out. adapt subject line/preheader text depending on recipient's lifecycle stage (for instance, whether they are: a lead yet to make a purchase, an active customer or lapsed). 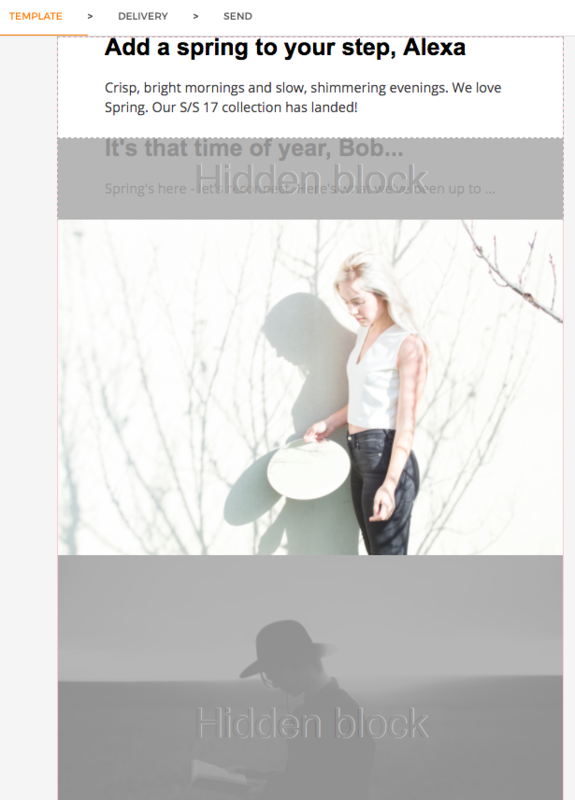 For example, here's a screengrab from Ometria's broadcast email template editor. 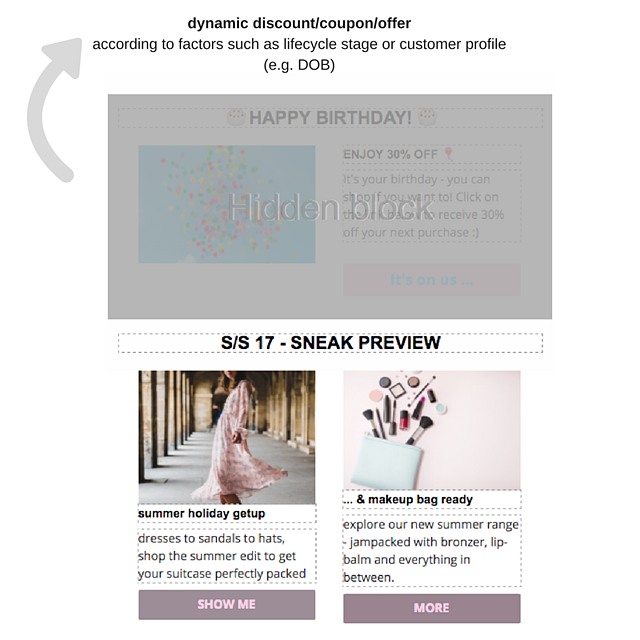 Another easy win when it comes to newsletter personalisation is displaying the right discount according to each recipient’s lifecycle stage or customer profile. first purchase discount (e.g. Welcome Alice! Here’s 10% off on us…). The majority of the above can be carried out by a marketer independent of a design-team/ additional resources needed to create specific assets such as different imagery for each segment. 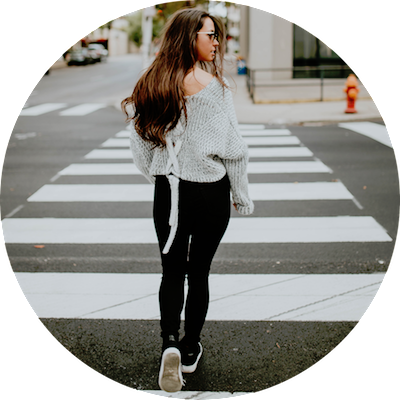 Even if your brand relies on image based coupons or discounts, these are very easy to create and don't need ongoing changes for weekly sends. As long as you have a good template editor that enables you to use dynamic content, all of this is completely doable and has the potential to vastly improve your workflow. To create an even more personalised newsletter, certain assets - dependent on resources - will be required, which is something we’ll be touching upon in our next blog post. Here at Ometria, we've launched personalised broadcast email, enabling retailers to build newsletter camapigns in a matter of clicks. For more information, click here.